With more than 10 years of experience, Mega Floors in Hamilton, ON, is your source for all your flooring needs. Offering our expertise with a variety of flooring options, we can tackle multiple projects without you having to hire two different companies. If you need someone to tile your bathroom and install hardwood flooring in your kitchen, we can do it, while ensuring that your flooring across multiple rooms still comes out to the same height. 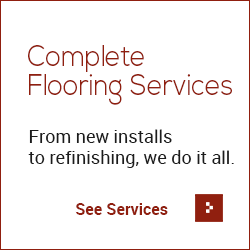 Whether you’re a homeowner wanting to refinish your bathroom tiles, a contractor working to restore an old property or a small business in need of new flooring, we can get the job done the way you want it, and we can do it at a fair price. We serve Hamilton and the surrounding areas, and if you’re interested in setting up an appointment with us, just give us a call or send us an email. We look forward to working with you! By appointment – please call!